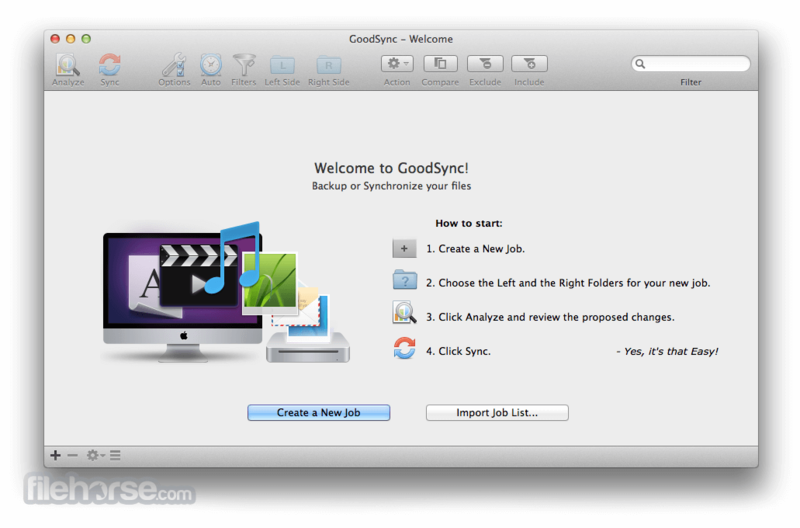 GoodSync for Mac is an easy, secure, and reliable way to automatically synchronize and back up your photos, MP3s, and important files. 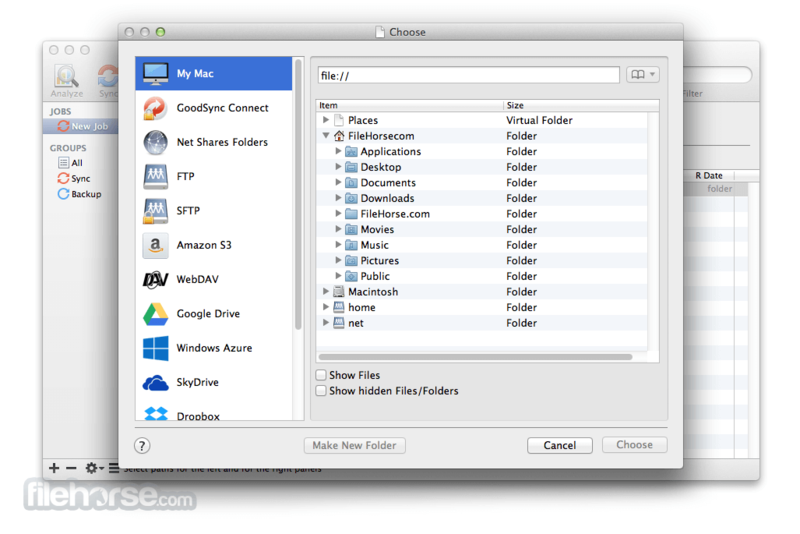 Backing-up and/or synchronizing your critical documents is as easy as one click, and can also be scheduled using a variety of automatic options. 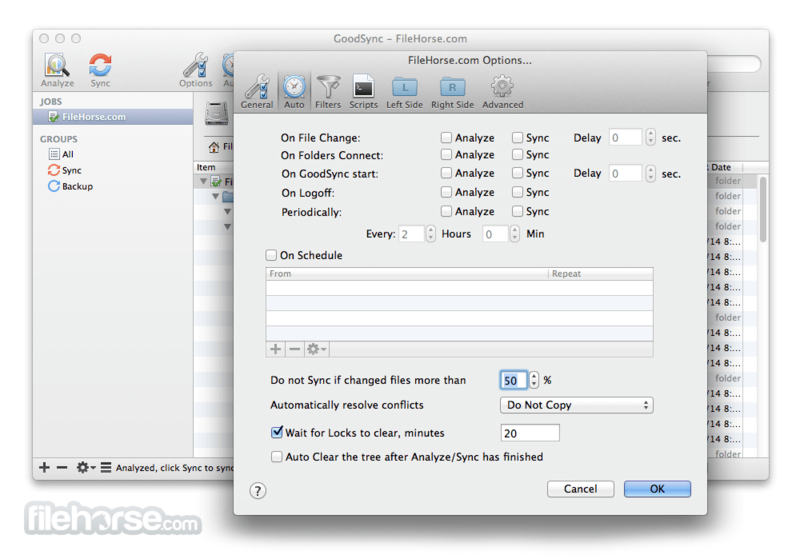 True bi-directional file synchronization prevents any data loss. 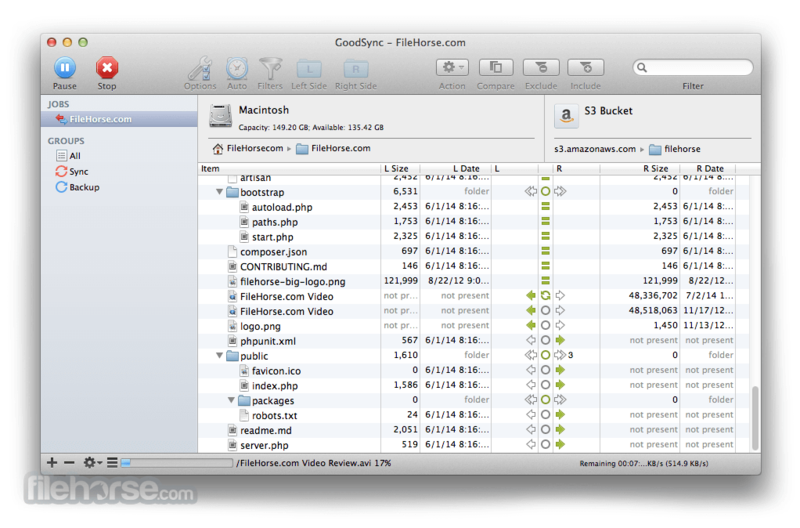 Download GoodSync for Mac can be used to synchronize data between your desktop Mac and laptop, home and office computers, computer and removable devices (USB Key, Flash Drive, CDRW disc), over a local network or the Internet. 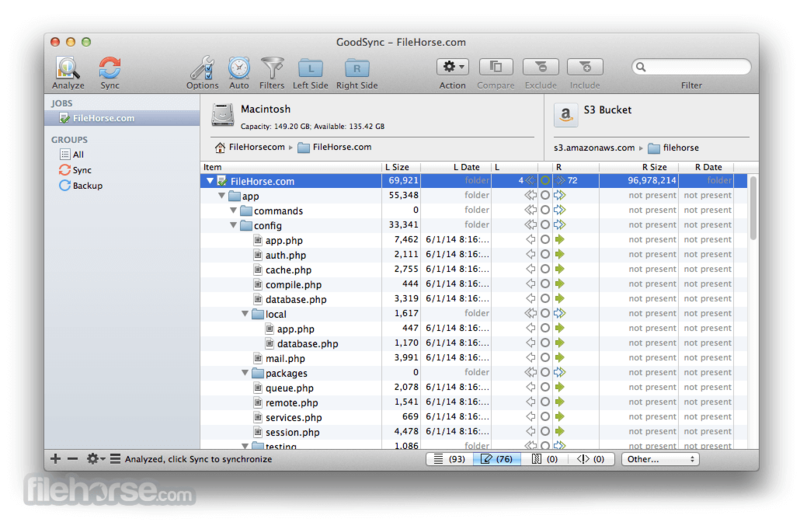 GoodSync for Mac backs up files to portable drives, mobile devices and to FTP, S3, GDocs, SkyDrive, DAV or another computer. Note: 30 days trial version. Requires 64-bit processor. Limited functionality after trial version.